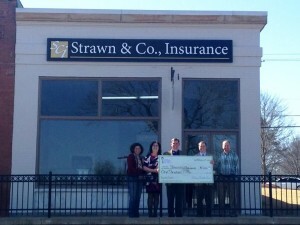 Strawn & Co., Insurance would like to extend our sincerest appreciation to Locust Grove Main Street for allowing us to participate in their facade grant program for our new location at 3846 Highway 42 in Locust Grove. 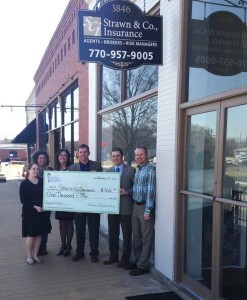 Chris Ragan is our agent on duty in Locust Grove. 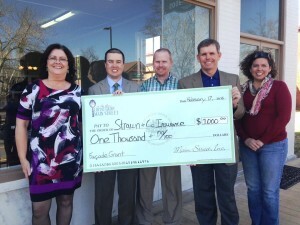 Chris is pictured along with John Wadsworth, Rusty Strawn and representatives from Locust Grove Main Street.